Only one candidate for Des Plaines city council said that he firmly opposes video gambling to be brought in the city. The rest of the candidates either provided their support to the proposal for lifting the video gambling ban in the city or said they had not decided yet. The city council has taken into consideration whether to give permission to owners of bars, restaurants and other establishments to add video gambling terminals (VGTs) to their offerings. Local business owners recently attended a city council meeting and insisted that the addition of this form of gambling would help them stay competitive to neighboring communities which allow video gambling. The issue, however, has not been an easy one for the city officials, as Des Plaines is currently also home to the Rivers Casino. Some aldermen have shared their concern that lifting the ban on video gambling in the city could hurt the performance of the casino and the share of casino revenues brought to city coffers, respectively, in case that state lawmakers give the green light to a new casino in Chicago, for example. For the time being, city council candidates remain divided in their opinions on the matter. 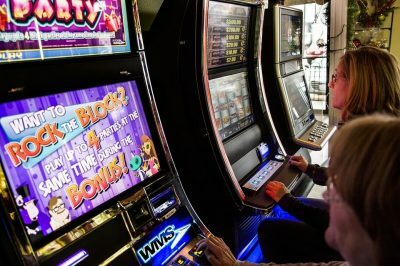 Some of them, such as Earl Wilson, have not made a firm decision yet, as they want more information on how video gambling is supposed to help local businesses. Others have decided to back the measure, as they believe that the new form of gambling would generate additional revenue which could help businesses remain viable. 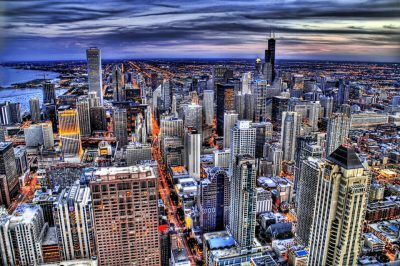 As CasinoGamesPro has reported last week, public discussions regarding the possible addition of video gambling in the city of Des Plaines were given a start. At the time, representatives of some local businesses called for the aldermen’s support for the measure, saying that lifting the ban on video gambling would help them keep their businesses profitable. Video gambling was officially legalized in the state of Illinois in 2012. However, the city of Des Plaines has decided not to comply with state lawmakers and leave the ban on this particular form of gambling in place. Lately, however, an increasing number of communities has decided that they should expand their gambling markets with video gambling in order to take advantage of the additional revenue that would be added to their coffers. According to proponents of VGTs, the machines could also help local businesses stay profitable, as long as they can legally operate in establishments which already own liquor licenses. The fact that the city is home to the Rivers Casino Des Plaines does not make things easier. Some aldermen have been worried that the addition of video gambling could undermine the casino’s profitability. On the other hand, others have insisted that local businesses should be allowed to place up to five VGTs considering the fact that there are currently about 1,200 gaming positions at the Rivers Casino.